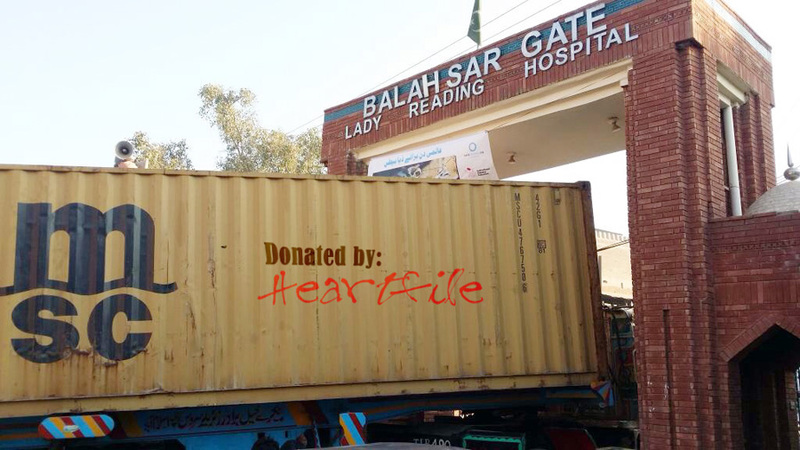 November 29, 2014: Mobilizing Medical Supplies for Pakistan, a Clinton Global Initiative commitment led by Heartfile with Direct Relief and World Health Organization as partners, successfully delivered the first consignment to Lady Reading Hospital, Peshawar. The donation comprised of two forty foot shipping containers containing hospital beds, autoclaves, endoscopes and other medical consumables. This is one of the many donations Heartfile will help direct to public sector hospitals in Pakistan increasing their capacity to deliver better healthcare to poor patients. 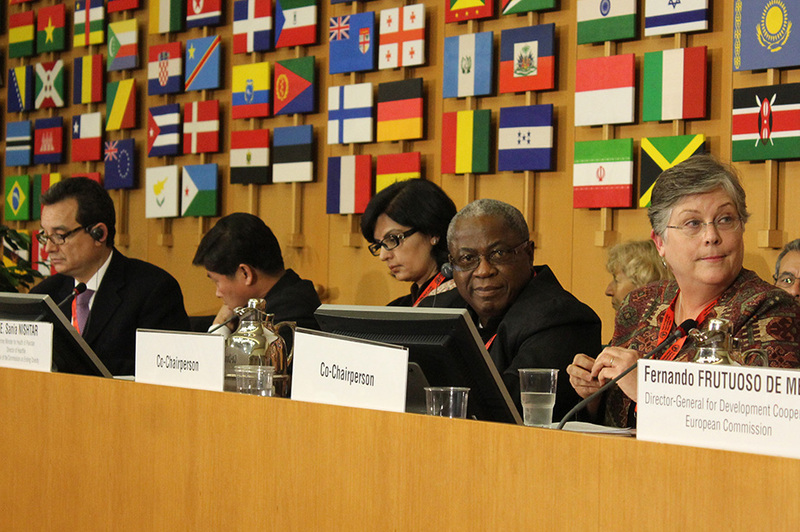 November 21, 2014: Hosted by the Food and Agriculture Organization (FAO) and the World Health Organization (WHO), the Second International Conference on Nutrition, an inclusive inter-governmental meeting on nutrition, was held in Rome from November 19-21. The two main outcome documents of the conference are the Rome Declaration on Nutrition: a political commitment document, and the Framework for Action: a technical guide for implementation. Ministers from 193 countries met in Rome for the first time in 22 years to look at ways to tackle malnutrition. For the last seven years, every November around 800 thought leaders from around the world convene in the United Arab Emirates for the World Economic Forum’s Summit on the Global Agenda. Knitted as a global knowledge network of around 80 Global Agenda Councils on a wide range of subjects, the event is widely recognised as the world’s largest brainstorming event. A handful of Pakistanis are also invited each year. Typically every year trends with regard to challenges and opportunities of the upcoming year come under discussion and are outlined in an accompanying report, the ‘Outlook on the Global Agenda’. This year, the Outlook Report released at the event outlined 10 ‘global trends’ or ‘key challenges’ facing the world over the next 12-18 months. These challenges were compiled and ranked using the Delphi method. The report ranked them in order of priority, but here I cluster them and reflect on their relevance to Pakistan. I will club the economic challenges, ‘deepening income inequality’ and ‘persistent jobless growth’ into one cluster. These topped the list of global concerns in the report. Both are hard outcomes to gauge economic performance against, and as such, are deeply relevant to Pakistan. Our country has a large population of youth. With the current rate of population growth, we need around three million jobs a year. Paradoxically, however, the job market may be shrinking. Without economic opportunities, our youth is vulnerable to exploitation. Today, the roots of extremism, radicalisation and mafia activity in the country can simply be traced back to the well-established patterns of exploitation of the unemployed youth. Therefore, the economic performance of governments should be gauged not just in terms of monetary and fiscal targets but also in relation to progress on job-relevant indicators. In the second cluster, I will group three issues in the report, all of which relate to environmental degradation: rising pollution, increased occurrence of severe weather events and increasing water stress. Here again, Pakistan epitomises serious risks. Air pollution levels are considerably high in urban areas. Particulate matter smaller than 10 micrometres (PM10) stands at 91.1 microgram/cubic meter in most major cities of Pakistan. This is way above the safe level of 15 microgram/cubic meter annually. 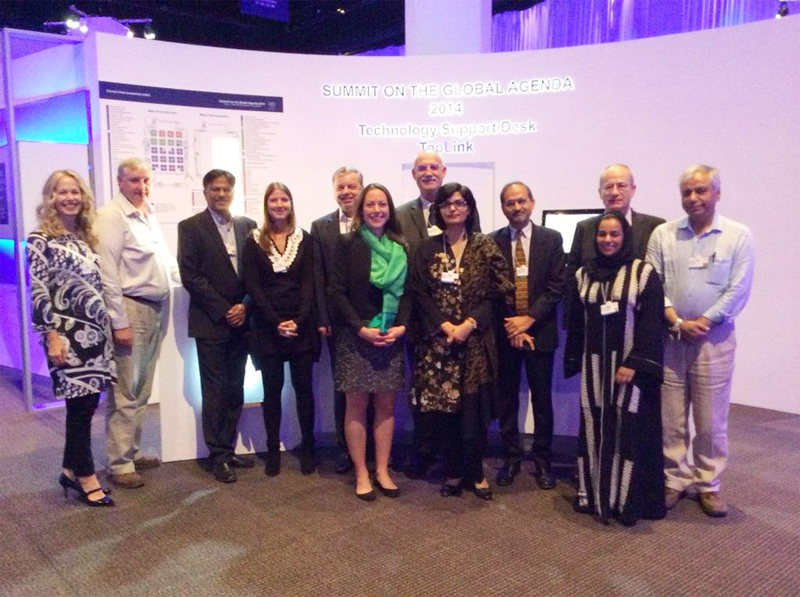 The impact of severe weather events in Pakistan is unprecedented even by global standards. The 2010 deluge, the 2011 Sindh floods and flash floods every year since then, rainfall anomalies, and the recent drought in Thar are all manifestations of climate warming. Pakistan’s surface water availability is projected to decline drastically – from 5260 cubic meters per capita in 1951 to 1100 by 2035. Climate warming-induced changes in the mass balance of the Karakorum glaciers have reduced the flow of water down the River Indus, which is the backbone of Pakistan’s agrarian economy. Beyond water security, water stress has manifold implications for human security – in particular food and energy security, and can compound our existing problems. We must invest in mitigation, early warning and disaster preparedness. Climate change-triggered scarcity of water is likely to be compounded by demand pressures, in particular the country’s uncontrolled population. Water scarcity and its ensuing complications can stoke conflict at several levels such as rivalries between feudal families over availability of water for their crops, disagreements between Pakistan’s landed vs manufacturing sector elite over use of water for irrigation vs hydroelectric power generation, and tensions between the provinces over control of water resources. We see beginnings of all this even now. Lack of leadership is another global issue outlined in the report; 86 percent of the respondents in the survey agreed that we have a leadership crisis in the world today. Seventy-eight percent of Brazilian and 83 percent of the Indian respondents regarded dishonest leadership as a serious issue. This is a no-brainer in Pakistan’s list of challenges. In addition to challenges, the report also outlined transformational opportunities related to technology, science and innovation. ‘Science and Technology’ features low on the Government of Pakistan’s list of priorities. Absence of a long-term vision for national development and recognition of its dependence on investments in Science and Technology has been one of the core impediments. We need to revamp the government’s stewardship agency for the S&T sector and link it with long-term planning to exploit this potential. The current backlash against globalisation and a retreat to nationalism and regionalism are two other issues flagged by the report. While the world is getting increasingly integrated economically, severing ties and political isolation create risks in an interconnected world where complex interdependences characterise relationships. The interconnectedness factor in light of the current Ebola crisis has also underscored the importance of the health sector in the economy. Emerging and remerging infections do not need passports to cross borders. They can devastate economies and can be detrimental to human wellbeing. There is a long road ahead for Pakistan in terms of strengthening health systems. Our shortcomings in polio eradication can be exemplified manifold if Ebola were to strike. Finally, weakening of representative democracy was also one of the top 10 global challenge trends for 2015. The report stated that “mechanisms are in place for systems to be more democratic than ever. Yet there is disconnect between citizens and the officials that represent them”. The Pakistanis at the meeting could relate to this, but on a positive note there are also some important developments in the country such as a revival of the political culture, an open media, and progress in constitutional separation of powers. This notwithstanding, we must understand that democracy is not just about ‘majority rule’; it is also about institutional democratic practices, democratic values and individual practices of consensus-building, and that many attributes of democracy are deeply interlinked with principles of good governance. We must appreciate that democracy, as understood conventionally, may be a necessary condition for good government, but it is certainly not a sufficient one. The writer is a member of the World Economic Forum’s Global Agenda Council since 2007.